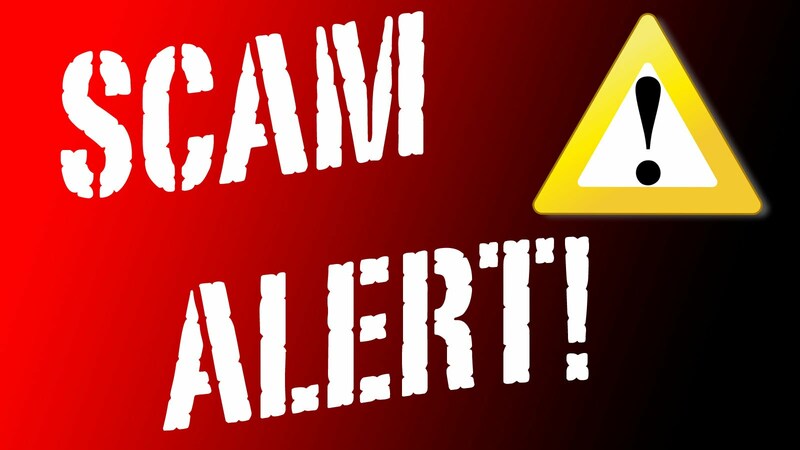 Scammers are working overtime to take advantage of you, and are pocketing billions. Odds are they will call you. Will you be ready? If you own and use a computer, please read this carefully. I am a computer professional with 20+ years’ experience, and I do not post computer warnings often – almost never. So when I do, it’s in an effort to avert very serious problems for those who read what I post. There is a scam that has been going on now for several years. People still fall for it all the time. But lately, the scammers have found a new way to draw you in. It is happening to a LOT of my friends and clients, and it could easily happen to you, if you are caught unawares. Back sometime in 2011 or a little before, scammers in India started calling people in the U.S. telling them they were from Microsoft, from Windows Technical Support, or simply from the “Technical Support Department.” Their goal is to get the person receiving the call to allow them remote access into their computer, to fix alleged “infections.” Once in, the scammers will retrieve personal information; install malware to allow them back into the computer unnoticed; or plant virus infections in the computer which they then will charge you to remove. The caller tells you that he/she is from Windows Technical Support, and they have noticed that your computer is infected or has been hacked and is sending out dangerous stuff. He/she tells you that urgent steps are necessary to correct the problem to avoid damage to your computer. He/she asks you to install a special program which will allow them remote access into your computer to correct the problem. There is a charge for the service. If you agree to the charge, they will take your credit card information, and usually charge you significantly more than was stated. Then the “technician” will remote into your computer and begin “showing” you problems as he describes your dire circumstances over the phone. The stuff he shows you is normal Windows stuff, but you don’t know that. While he is talking, other software (malware or Trojan) is deployed behind the scenes which will make it possible for him to remote in again, or unleash something harmful on your computer. Victims who resist what the scammer is doing have sometimes had their data erased in retaliation. This is nothing less than a type of terrorism – deceiving and taking advantage of you by playing on your technological ignorance and fears. So far, over the last three years, they have gotten away with literally billions of US dollars from hapless users who were taken in. But what is happening now is even more dangerous and more alarming. Somehow, these guys have figured out a way to install a small program onto random people’s computers which pops up and announces (through an audio file) that your computer has become infected, and that you need to call an 800 number (which they give you) or something very bad will happen to your computer. Once you call the number, they just employ the same scam as above. But with the Trojan software popping up on your system, they no longer have to call YOU on the phone to initiate the process. They have YOU calling THEM! This new method is just getting started, and is gaining traction by the minute. Several friends, family members, and clients of mine have experienced this in just the last few weeks, and it’s only going to get worse. When the scammers call ME on the phone, and they do every couple of weeks now, I have some fun at their expense. They slam the phone down as soon as they realize that I’m the least bit tech savvy. But for the average user, this is all very confusing, stressful, and frightening. That’s why I want you to know about it and be prepared. Microsoft and its subsidiaries NEVER call anyone offering their support. They have more than enough to do keeping up with all the INCOMING support calls they get. Why would they solicit more? If you get a phone call from a person with a middle-Eastern accent, allegedly from Microsoft, Windows, or Technical Support, tell them you are familiar with their scam and hang up immediately. 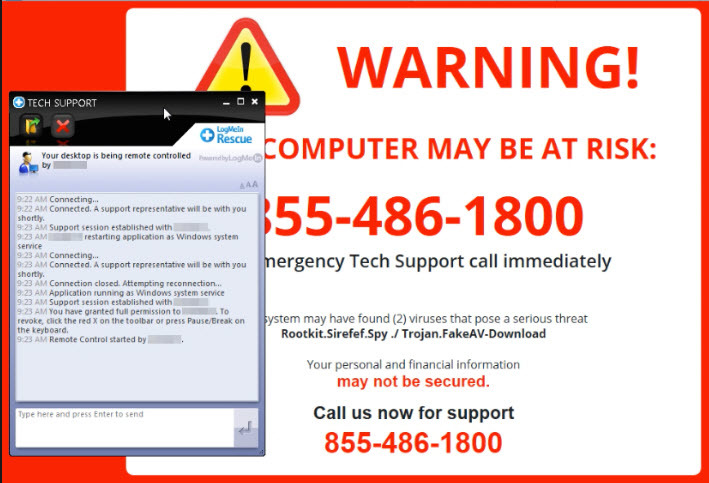 If you get the pop-up informing you that your computer is infected, shut the computer down immediately and take it to someone familiar with virus and malware removal, and get it cleaned. It’s not necessarily infected the way they want you to think, but they were able to put that little program on your hard drive, so it definitely needs to be cleaned. If you have given these scammers access to your computer at some point, do what I just mentioned above, and while some savvy person is cleaning your system, “change the locks on all your digital doors.” Change passwords, monitor bank and credit card activity closely. Talk to your bank and see what they recommend. Knowledge is power. Don’t be fooled into giving ANYONE access to your private information.